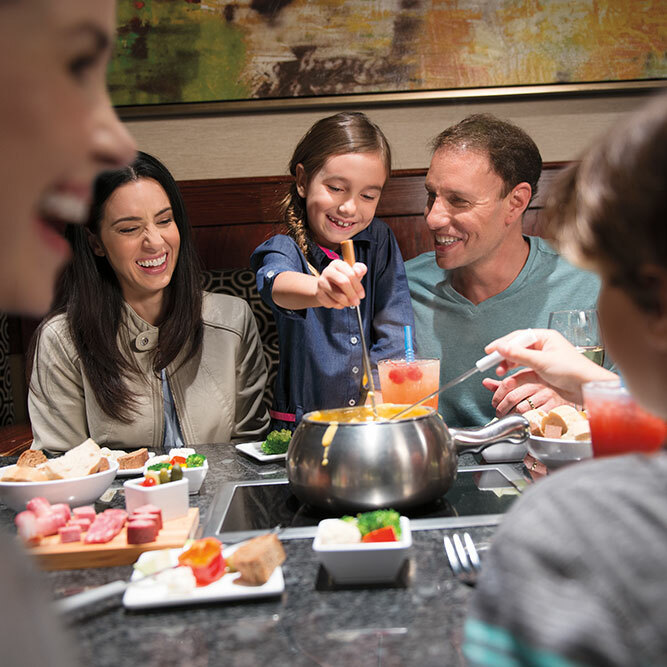 Explore the Art of Fondue with Us! 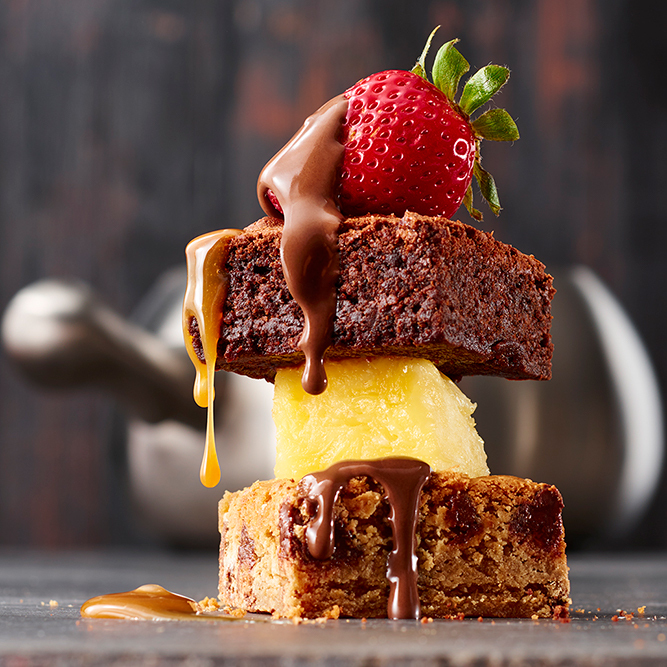 Start planning your celebration now! 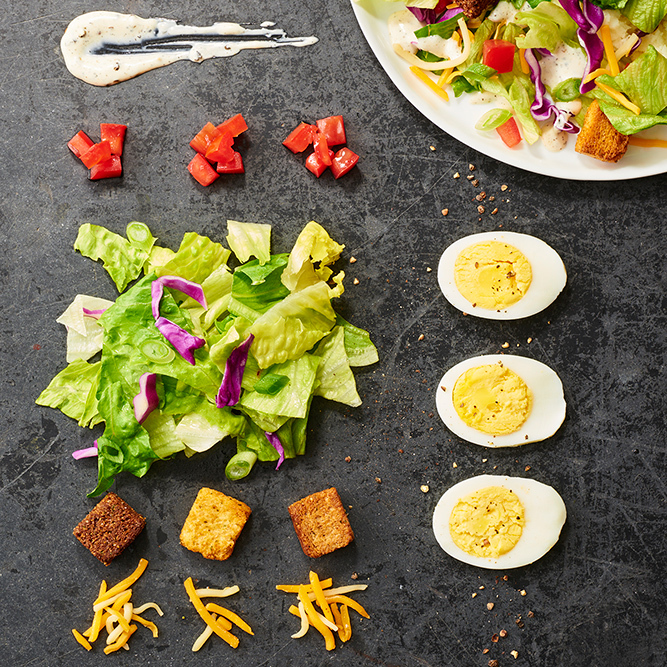 Link to Start planning your celebration now! 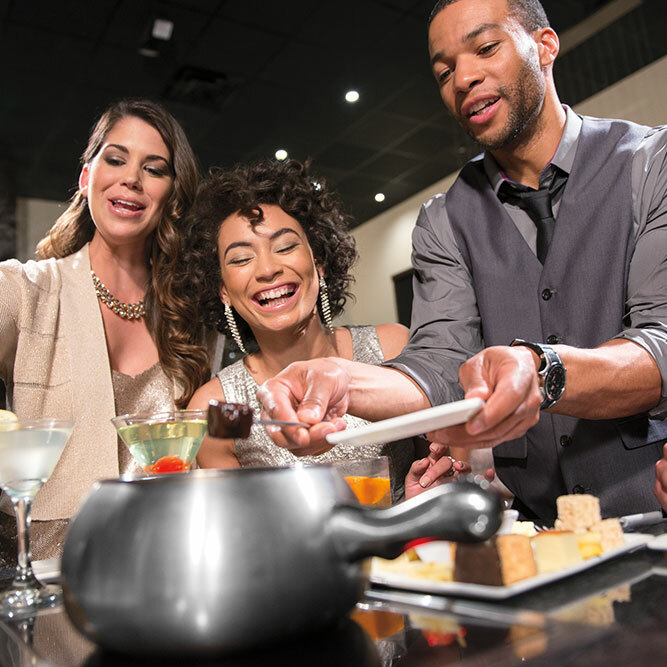 Enjoy an interactive dining experience with your friends and family at The Melting Pot. 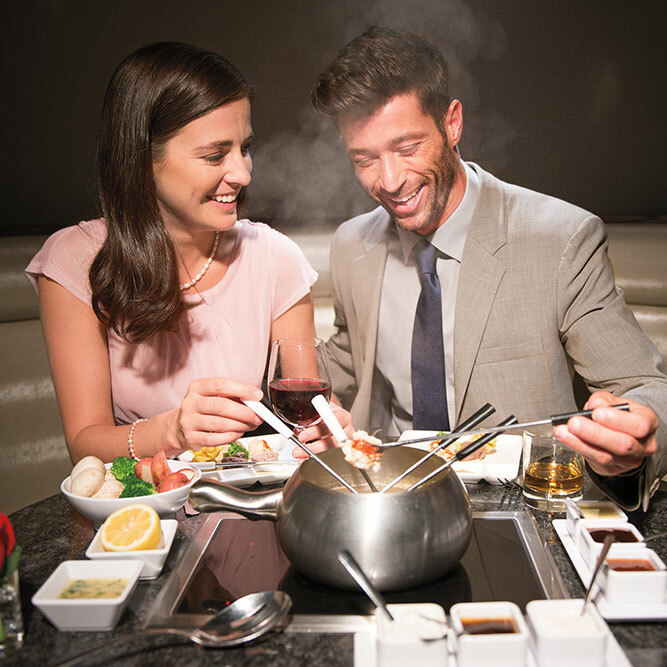 Fondue is a meal best enjoyed with friends and family, so bring them along with you when you come to The Melting Pot in Wilmington, North Carolina. 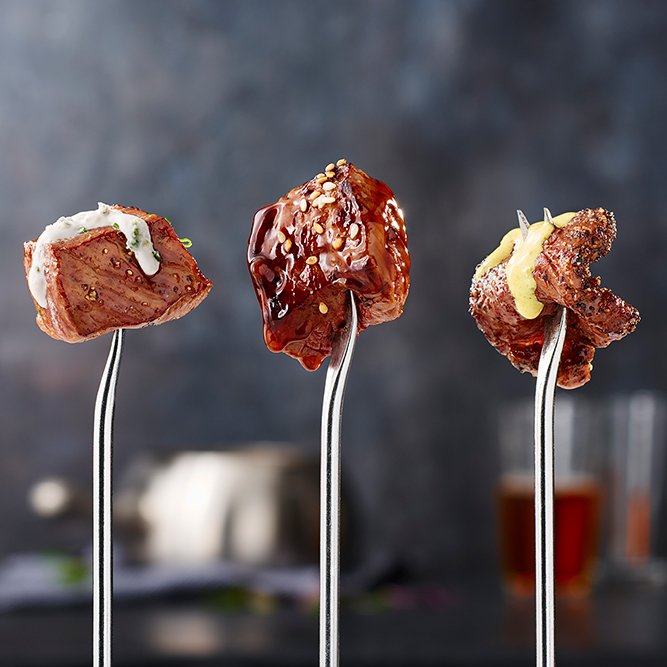 At our gourmet fondue restaurant, we provide a full four-course fine dining treat for hungry guests, and we also remain an excellent choice for diners looking to have a few drinks along with their chocolate and cheese. 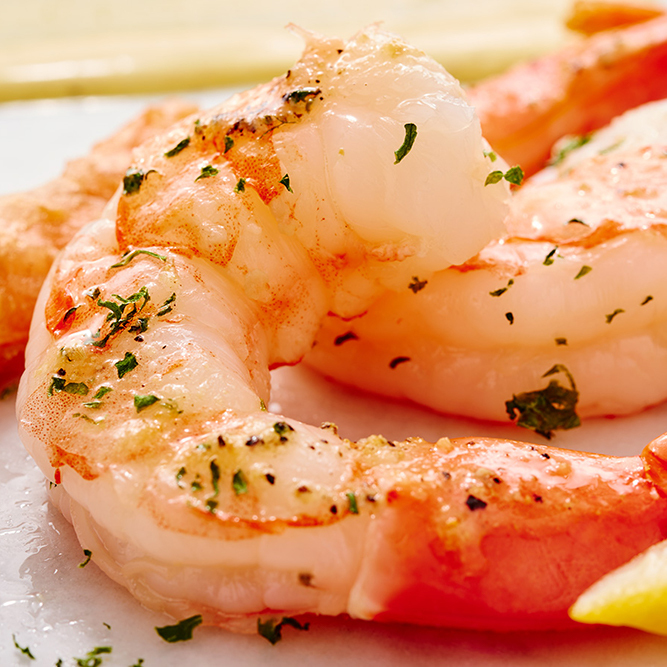 No matter what you are in the mood for, we have something for all tastes. 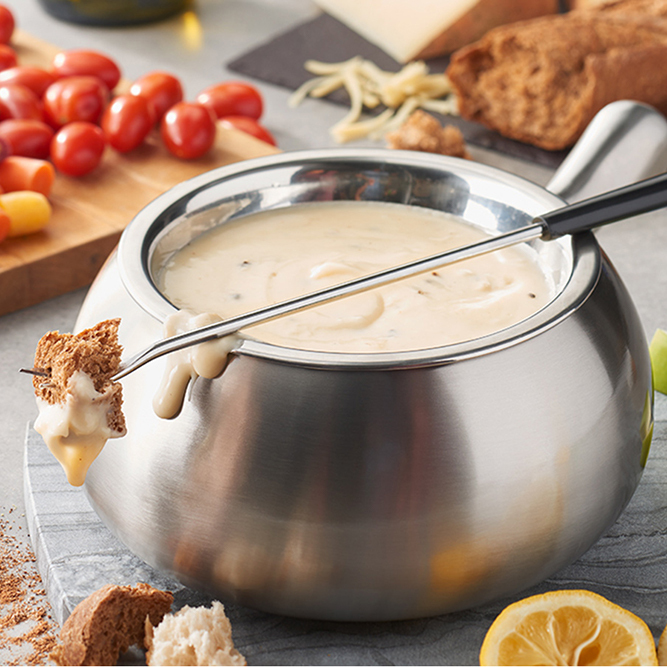 You can begin your dining adventure with a bubbling pot of cheese blended and seasoned right at your table. 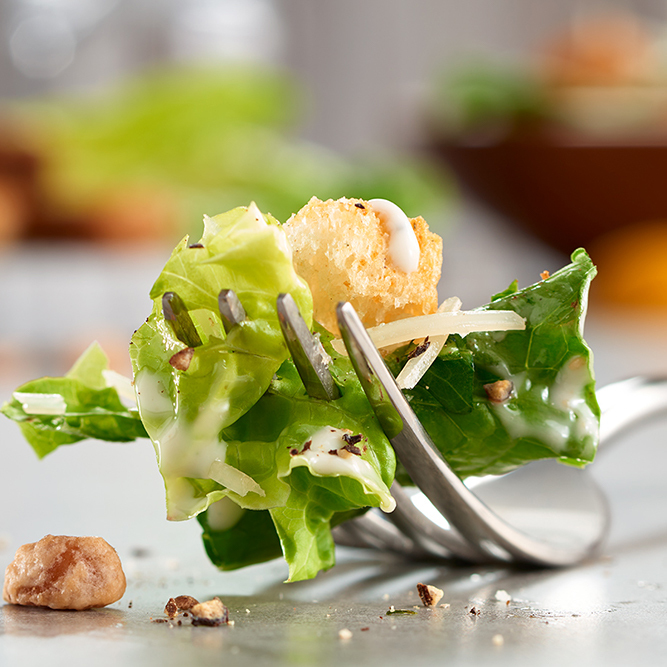 Once you’re dipped seasonal veggies and artisan breads into your choice of cheese, you can cleanse your palate with our freshly made salads. 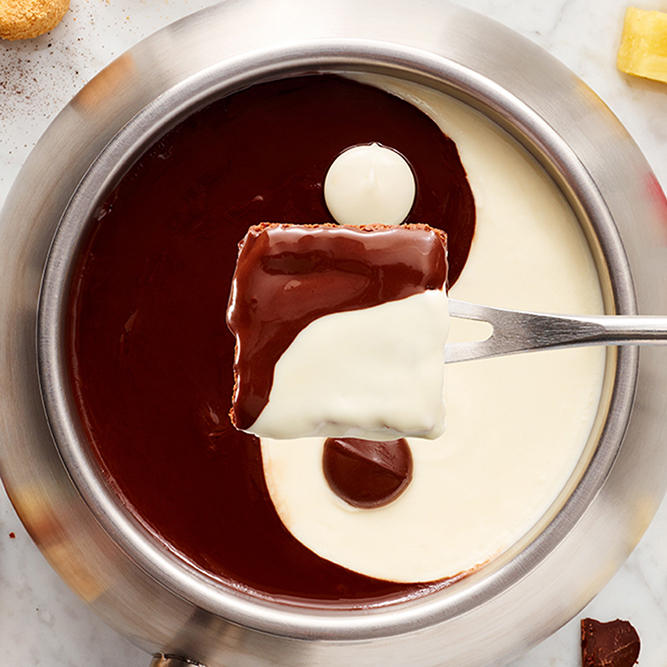 Entrées are customizable at The Melting Pot, and we finish off your evening with decadent chocolate fondue. What’s not to love? 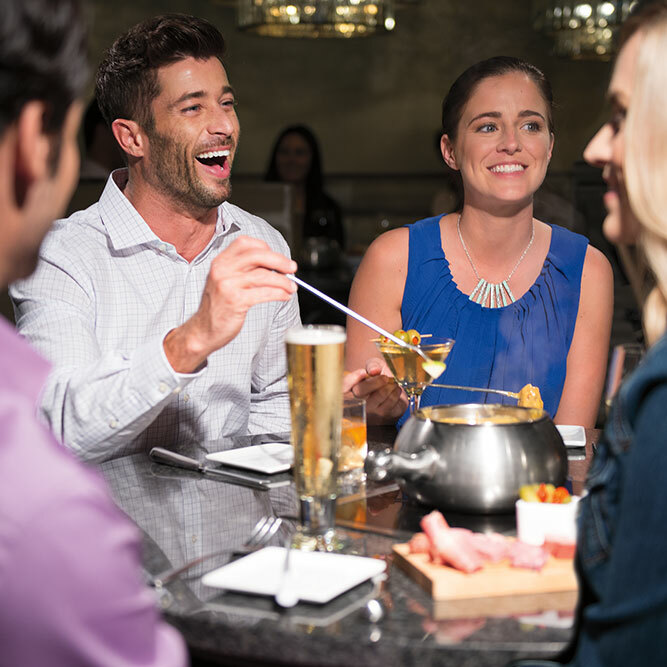 Reserve a table at our restaurant tonight when you crave fondue.